The flagship GoTalk. 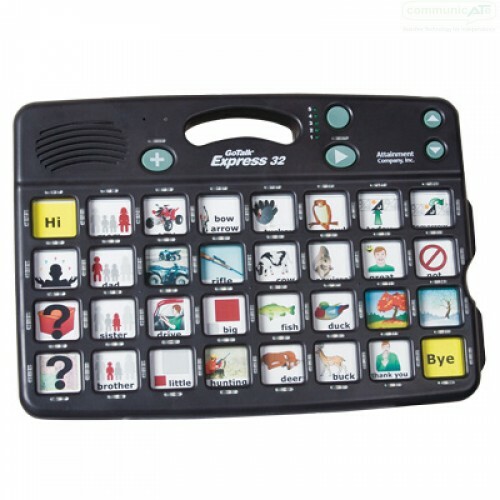 With advanced features, switch scanning capabilities, levels and great sound this is a very capable speech generating device meeting many communication interaction needs. 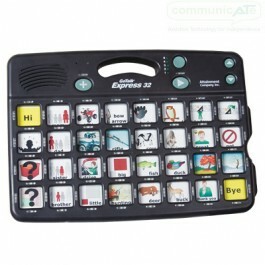 tech and dynamic display communication tools. There's even an option for message sequencing. 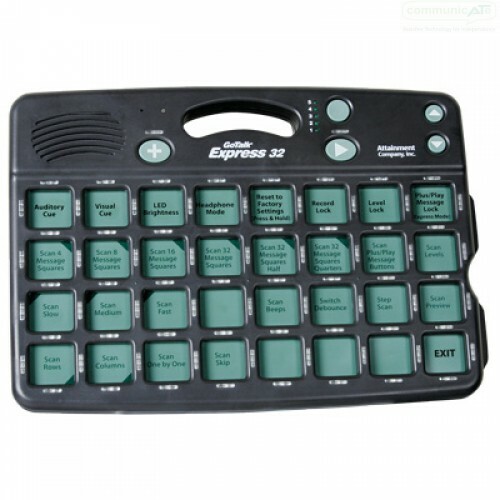 Like all GoTalks, the Express 32 is rugged, attractive, and boasts great sound quality. Attainment Company have added some exciting features, too. Like message cell LEDs urrounds for visual prompts, an option to add a 1.5 second auditory cue to any message and the remarkable ability to seamlessly play multiple messages in sequence. 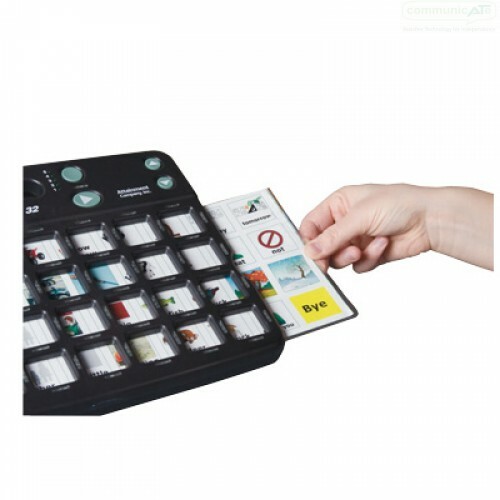 Plus, the GoTalk Express is a fully functional scanning device, ideal for beginning or experienced switch scanning communicators. You can play multiple messages in sequence. Choose between two methods of operation: Standard and Express. 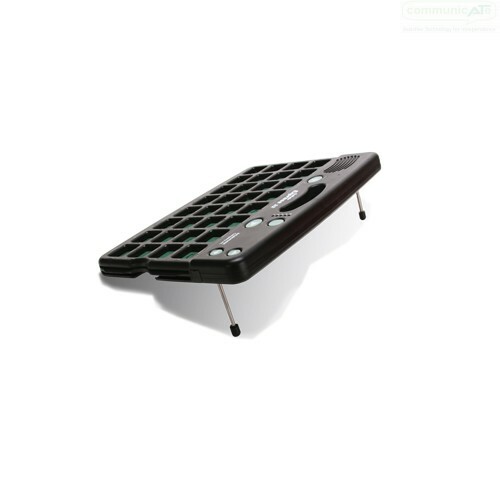 The Standard method works like any GoTalk—touch a message key and it talks. With the Express method, users can link messages together to play in sequence. For example, singluarly recorded messages like “I would like”, “spaghetti and meatballs”, “for lunch today”, “Thank you very much” can be linked together in Express Mode. These messages will play seamlessly in the order selected to simulate typical conversation. Users can easily edit their recorded expressions, plus save one for the long term. Both Standard and Express operations are available in scanning mode.